Learn more about this card and find out how you can apply here. The Hilton Honors Ascend Card from American Express is a hotel rewards credit card with a $95 annual fee and a generous rewards program that favors frequent Hilton portfolio guests and people who spend heavily at restaurants, supermarkets, and gas stations in the United States. You can redeem Honors points earned with this card for free nights or room upgrades at approximately 4,000 Hilton properties worldwide. Hilton also offers a host of other redemption methods, including general merchandise, gift cards, and transfers to frequent flyer programs. However, these redemption methods all tend to devalue accumulated points, so it’s usually best to stick with free nights or upgrades. Hilton Honors Ascend automatically confers Hilton Honors Gold status, a potentially powerful benefit that accelerates points earned at Hilton hotels, allows for flexible check-out times, and gives you a 5th night free on stays of 5 nights or longer. Heavy spenders can move up to Hilton Honors Diamond status, which is even more generous, and even moderate spending ($15,000 per year) qualifies you for a complimentary weekend award night. Curious about the Hilton Honors Ascend card? Let’s take a closer look at its features, advantages, disadvantages, and overall suitability for frequent and not-so-frequent travelers. When you spend at least $2,000 in eligible net purchases within the first 3 months of your account opening date, you get 100,000 bonus Hilton Honors points. That’s worth up to 20 free nights at Category 1 properties. Hilton Honors Ascend earns unlimited 12 Honors points for every $1 you spend at hotels and resorts within the Hilton portfolio. Purchases made at gas stations, grocery stores, and restaurants (all in the U.S. only) earn an unlimited 6 points per $1 spent. All other purchases earn an unlimited 3 points per $1 spent. As long as you have some account activity (earning or redeeming points) within any given 12-month period, your points never expire. You can redeem your accumulated points for free hotel nights, with no blackout dates, at about 4,000 Hilton hotels worldwide. Point redemptions start at a minimum of 5,000 points for Category 1 hotels, which typically cost less than $100 per night. You can also redeem using Hilton’s Points & Money Rewards feature, which allows you to combine points and cash. Points & Money Rewards redemptions start at 5,000 points and rise in 1,000-point increments. The number of points required for redemption increases with hotel category, as well as overall room demand, seasonality, individual property, and other factors. For instance, Category 10 hotels (the highest tier) require at least 70,000 points to redeem, and sometimes as much as 95,000. Point values vary depending on how they’re redeemed, but are generally worth $0.005 to $0.01 at redemption (sometimes more or less). Hilton also allows you to use points for room upgrades, subject to availability, at roughly the same point-to-dollar conversion rate. These terms are all subject to change, so check the Hilton Honors program’s terms and conditions for up-to-date information. Hilton partners with a limited number of airline frequent flyer programs, including American Airlines AAdvantage and United MileagePlus. You can convert your accumulated Honors points into frequent flyer miles, usually at a rate of 10,000 Honors points to 1,000 or 1,500 miles. It’s worth noting up front that this is a far lower rate than some competing hotel loyalty and general-purpose travel rewards credit card programs, some of which offer 1-to-1 transfers. Hilton also allows you to convert your accumulated Honors points to Membership Rewards points, American Express’ in-house loyalty currency. The minimum conversion amount is 1,500 Honors points, which earns 1,000 Membership Rewards points. This is clearly a better deal than frequent flyer mile conversions. As long as you remain a cardholder in good standing, you’re automatically granted Gold status in Hilton’s loyalty program. Gold status boosts your point earnings on Hilton and partner property stays by 25%, earns you a 5th night free on stays of 5 nights or longer, and permits flexible check-out times. When you spend at least $40,000 in eligible purchases in a calendar year, you earn an automatic upgrade to Diamond status. Diamond status comes with all the benefits of Gold status, plus a point earnings boost of 50% for all Hilton and partner stays and guaranteed room availability when you book at least 48 hours in advance. When you spend at least $15,000 in eligible purchases in a calendar year, you get a complimentary award night at any participating Hilton property. When you open your account, you’re automatically enrolled in Priority Pass Select, an airport lounge membership that gives you discounted access to more than 1,000 airport lounges worldwide. You get 10 complimentary lounge visits per year. The annual membership fee is waived as long as your card account remains open and in good standing. Lounge visits above the annual complimentary allowance cost $27 apiece. That typically equates to a discount of 50% or more. The payment is automatically charged to your credit card account at entry. This card comes with a $95 annual fee. There is no foreign transaction fee. 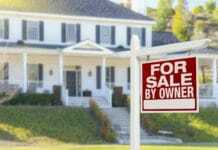 Cash advances cost the greater of $5 or 3%. Late and returned payments both cost up to $38. Excellent Point Earning Rate on Hilton Stays. Hilton Honors Ascend earns a very impressive 12 points per $1 spent at Hilton portfolio properties. That’s better (in some cases, much better) than direct competitors, such as Citi Hilton Honors Reserve ($95 annual fee, 10 points per $1 spent at Hilton properties) and the Hilton Honors Card from American Express (no annual fee, 7 points per $1 spent at Hilton properties). If you spend heavily within the Hilton portfolio, Ascend is probably your fastest ticket to award night redemptions. Broad 6x Categories. This card’s 6x categories are very broad, creating a potentially lucrative opportunity for people who use it outside the Hilton universe. If you spend heavily on gas (definitely a possibility for Hilton-loyal road warriors), restaurants (also a traveler-friendly category), or supermarkets, Ascend is worth a closer look. Excellent Welcome Offer. This card has an excellent welcome offer worth up to 20 award nights at the lowest-tier Hilton properties. That’s one of the industry’s better welcome offers, period. Automatic Hilton Honors Gold Status. As long as your Hilton Honors Ascend account remains open and in good standing, you automatically enjoy Gold status. That’s good for a 25% boost in your base point earnings at Hilton hotels, as well as a free 5th night on stays of 5 nights or longer (a huge perk on longer vacations). Some competing cards don’t confer frequent guest or loyalty status, while others require you to spend a certain amount (often in excess of $10,000 per year) before you qualify. Priority Pass Is Great for Frequent Flyers. If you’re a frequent Hilton guest, there’s a good chance you also fly regularly. By offering 10 complimentary entries annually to more than 1,000 airport lounges worldwide, this card’s Priority Pass Select benefit makes traveling by air a little more pleasant. Though many airline cards offer airport lounge benefits, comparatively few hotel rewards cards do. Complimentary Weekend Award Night for Moderate to Heavy Spenders. If you can spend at least $15,000 in a calendar year, you’ll earn a complimentary weekend award night at any participating Hilton property. It’s hard to put a value on this benefit, but it’s safe to say it’s worth at least $100 per occurrence – and possibly much more if you’re able to convert at a pricier Hilton hotel or resort. Good Deal on Membership Rewards Conversions. Hilton Honors Ascend allows you to convert your Honors points to Membership Rewards points at a 1.5-to-1 ratio. If you rack up points on this card faster than you can redeem them at Hilton properties, this is a great way to use them up. Plus, individual Honors points aren’t worth as much as some competing loyalty currencies – the redemption value is typically well below $0.01 per point. In some circumstances, redeeming for cash or merchandise via Membership Rewards may actually be a better deal. Solid Baseline Earning Rate. This card’s baseline earning rate – unlimited 3 Honors points per $1 spent on everything – is better than many travel rewards cards, whose baseline rates top out at 1 to 2 points per $1 spent. In light of Hilton’s low minimum redemption threshold of 5,000 Honors points for Category 1 hotels, this earning floor is appealing for frugal travelers looking to minimize time to redemption. Great Hotel Selection. The Hilton portfolio has nearly 4,000 hotels and resorts around the world – an incredible variety that some competing brands can’t match. Points Don’t Expire. As long as you have some account activity within any rolling 12-month period, your Honors points never expire. This is great news for cardholders who go months without using their cards or staying at Hilton properties. Charges an Annual Fee. This card comes with a $95 annual fee. That’s not ideal for frugal travelers, particularly when the Hilton Honors Card from American Express offers comparable (though somewhat less generous) benefits with no annual fee. If you don’t stay at Hilton properties very often, that card – or a general-purpose annual-fee-free travel card, such as BankAmericard Travel Rewards – is a better deal. Poor Frequent Flyer Transfer Options. This card’s frequent flyer transfers offer a uniformly poor value. You generally need to exchange 10 Honors points to get 1 partner mile, with a 10,000-point minimum. Needless to say, this is a much worse deal than competing cards, such as Chase Sapphire Preferred, which offers 1-to-1 point-to-mile transfers with select partner airlines. Relatively Low Redemption Values. This card’s rapid point-earning rate is partially offset by the relatively low value of individual Honors points. Though redemption values depend on many factors, including property quality, demand, and seasonality, it’s common for points to clock in well under $0.01 apiece when redeemed for award nights. That’s a much lower rate than some competing hotel loyalty programs, including Marriott Bonvoy. Charges Penalty Interest. This card charges a high penalty interest rate. 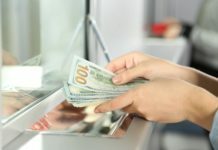 That’s problematic for cardholders who occasionally fall behind on payments, especially considering penalty interest can remain in effect indefinitely. At first glance, the Hilton Honors Ascend Card from American Express offers earning potential like almost no other hotel credit card: 12x points at Hilton properties, 6x points in three super common spending categories, and 3x points on everything else. If you’re able to consistently redeem at lower-tier Hilton properties, this card is very valuable indeed. However, it’s important to recognize that Hilton Honors points’ value varies sharply, depending on how and where they’re redeemed. Generally speaking, they’re worth less than some other loyalty programs’ points, including Marriott’s. If you’re not especially loyal to Hilton and are looking instead for a branded hotel card that offers the most value for your money, the Marriott Bonvoy Brilliant™ American Express® Card could be a better choice. 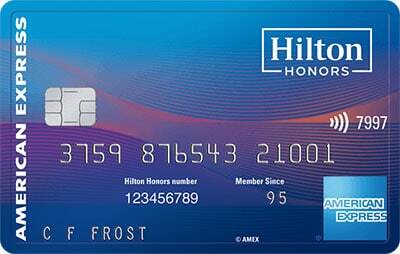 The Hilton Honors Ascend Card from American Express is ideal for loyal Hilton guests who frequently stay at Hilton portfolio properties and spend heavily at U.S. gas stations, restaurants, or supermarkets. It’s not as useful for folks who aren’t loyal to Hilton, those who seek good value for non-award night redemptions (including frequent flyer transfers), and people who don’t spend enough to offset the $95 annual fee. Key benefits include excellent earning rates, automatic Gold status, Priority Pass Select benefit, free weekend night for big spenders, Diamond status upgrade for even bigger spenders, great hotel selection, and uber-generous welcome bonus. Big drawbacks include the annual fee, poor frequent flyer transfers, penalty interest charges, and relatively low point values at redemption. Overall, a great card for frequent Hilton guests who spend heavily in the 6x categories.